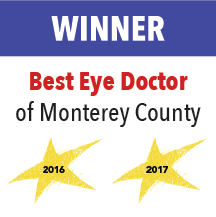 Dr. Telma Barseghian, OD and Dr. Trevor Fogg, OD have lived and practiced optometry on the Monterey Peninsula for many years. 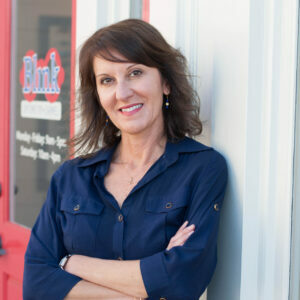 Their practice, Blink Optometry Carmel, is a full-service vision care center and boutique optical shop in Carmel’s picturesque Crossroads Shopping Center. Dr. Telma Barseghian has been practicing optometry on the Monterey Peninsula for the past 18 years. She received her undergraduate degree in Biochemistry and Cell Biology from UC San Diego. It was during a college ski trip when she met several young blind skiers that she decided she wanted to become an optometrist. Dr. Barseghian received her doctorate with honors from UC Berkeley School of Optometry in 1994. 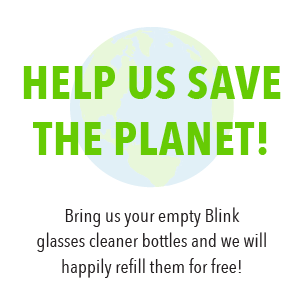 While in school, she participated in volunteer eyecare programs in El Salvador, and at low-income shelters in Berkeley. After graduating, she volunteered in various service organizations, including the Lions Club and the Boys and Girls Club. Dr. Barseghian practices full-scope optometry, treating patients from infancy to late adulthood. She provides a range of optometric services, including fitting glasses and contact lenses, treating eye diseases, infections, and injuries, as well as co-managing cataract and laser surgeries with local and Bay Area surgeons. Dr. Barseghian enjoys many outdoor activities, including running, kayaking, camping and hiking. She also enjoys playing the piano and traveling. She feels very lucky to call Pacific Grove her home, which she shares with her husband Adam and their two daughters, Hannah and Jacqueline. 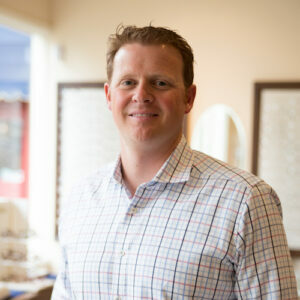 Dr. Trevor Fogg has been practicing optometry on the Monterey Peninsula since 2007. He completed his undergraduate studies at UC Berkeley with a double major in Integrative Biology and Economics. He then returned to UC Berkeley where he earned his doctorate in Optometry. During his training he was recognized by his peers and mentors with numerous accolades and awards for clinical excellence, patient care and optical expertise. Dr. Fogg also worked closely with the Cal baseball team designing visual skills training programs for select players, including a future major leaguer, to improve on-field performance. Dr. Fogg practices full scope optometry, including the treatment of eye infections, ocular allergies, dry eye syndrome, removal of foreign bodies, and diabetic eye disease. Having started wearing contact lenses himself at the age of eleven, Dr. Fogg is keenly aware of the way they can change a person’s life. He has considerable experience in fitting all types of contact lenses, including daily disposable, bifocal, astigmatic, and gas permeable lenses. He is also certified in Corneal Refractive Therapy. Dr. Fogg is an avid sports enthusiast who has competed in baseball, water polo, and sprint triathlons, and taught skiing at Squaw Valley near Lake Tahoe. He is a native of Carmel and is thrilled to have put down roots here with his wife Erin and son Rowan.